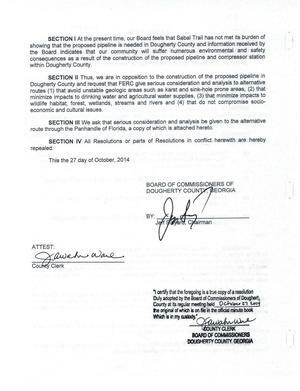 SECTION III We ask that serious consideration and analysis be given to the alternative route through the Panhandle of Florida, a copy of which is attached hereto. The missing page is now integrated into the previous post. Thanks to Dougherty County Attorney Spencer Lee for sending it. 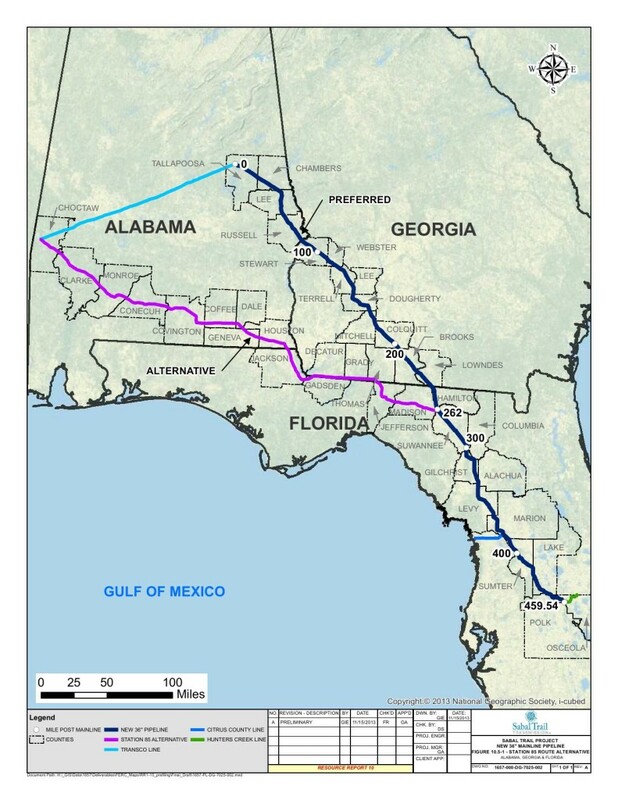 And below is that Panhandle route, as filed by Sabal Trail with FERC in November 2013. If no state wants the pipeline, pretty soon it will end up nowhere. You need to keep this stupid pipeline out of the State of Georgia completely. We do not want it here.